LM YAVO series Frequency Divider using high-quality materials, crossover points, component values, process line alignment. After scientific simulation and Physical correction, with the vast majority of speakers to match, is the assembly of high-end speakers or upgrade the best choice for the replacement of ordinary frequency divider. For 4-8 ohms Under 10-inch or less speakers. 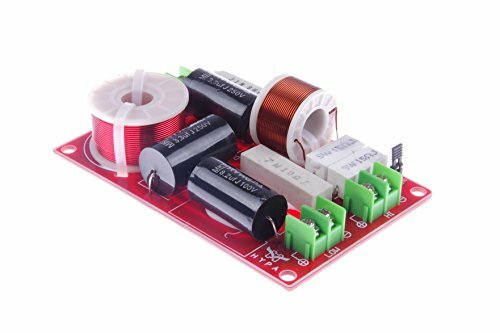 High Quality Components: LM YAVO frequency divider adopts high quality MKP capacitance ， High quality copper inductors, ceramic resistors. UHF response loss is small, the audio detail is clearer.